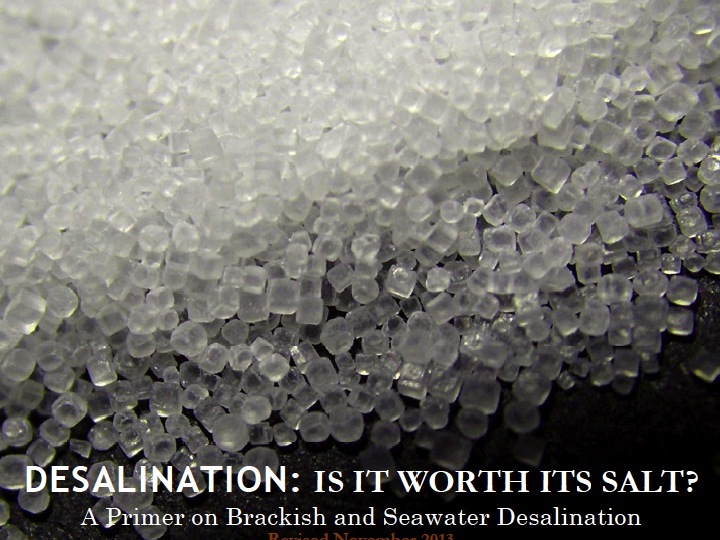 Desalination: Is it Worth its Salt? Desalination is often viewed as a solution to many water supply problems and is often hailed as a ‘drought resistant’ supply. This report explores the environmental, energy, and economic issues surrounding desalination and provides an overview of desalination activities in Texas.